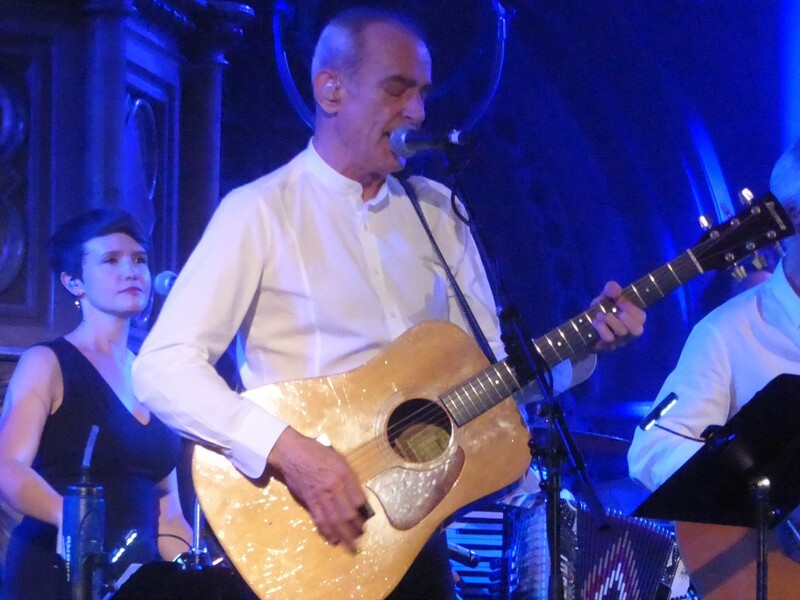 Share the post "Gig review: STATUS QUO – Union Chapel, Islington, London, 9 September 2016"
When Status Quo reworked their back catalogue in acoustic format, then put it out on the road, the results were stunning and breathed new life into their classics in a manner even their diehard fans would not have believed possible. 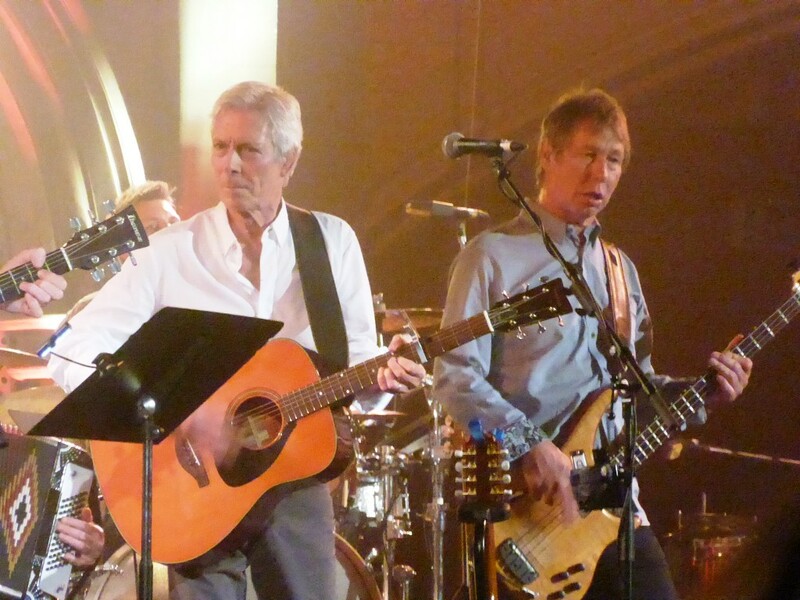 Two years on they face a different challenge as, after this winter’s traditional tour, the acoustic style will be the norm, certainly for the live Quo. Perhaps with this in mind, a second ‘Aquostic’ album is imminent and this show was partly an opportunity to play in some of the new material, ahead of an appearance at Radio 2’s Hyde Park day out. 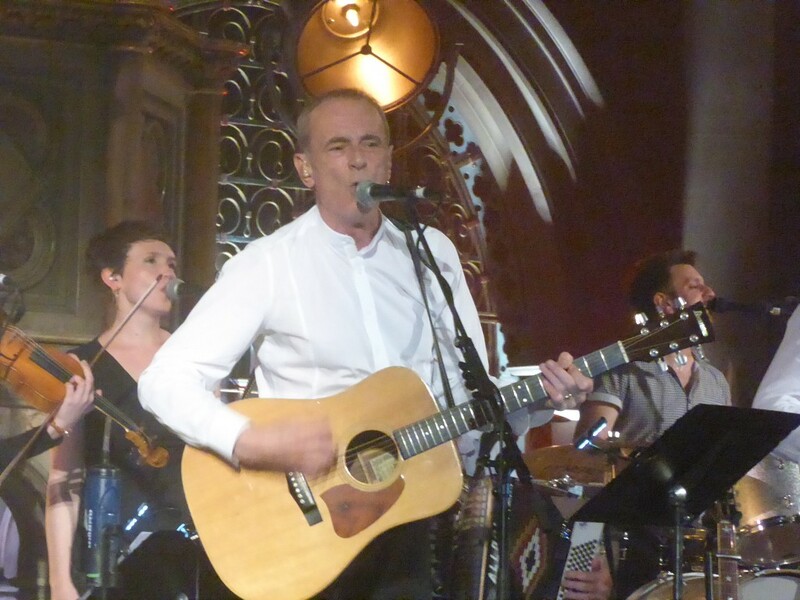 The venue was also very special and to have Quo fans sitting in rows of pews in a Victorian church would have seemed far-fetched beyond belief a few years ago. Sadly there was no recuperating Rick Parfitt as Quo took the stage, with bassist ‘Rhino’ Edwards’ son Freddie filling in, but otherwise the format was as before with a string section, two female backing singers and an accordion player enhancing the traditional Quo line-up. However, in a nod to their rockier past they did stand rather than sit this time. ‘Pictures of Matchstick Men’ opened and the psychedelic feel of the original meant that the string section was not too great a musical departure, but it remains a surprise just how well the likes of ‘Paper Plane’ and ‘What You’re Proposin’ still swing with acoustic guitars. ‘Caroline’ meanwhile was slightly tweaked to put the verse before the opening riff, and saw Francis Rossi momentarily lose his vocal place as he got a fit of the giggles. ‘Claudie’ was a classic example of how forgotten numbers were so expertly chosen for the original Aquostic album, the format fitting the folky feel of the song, and it was now time to see if the formula could be repeated. Blue For You’s ‘That’s A Fact’, with its staccato rhythms went down well and there was then a curveball as traditional live pogoing favourite ‘Hold You Back’ was given the treatment, and raised the church to its rafters as people took to their feet and danced with the violin melodies very expertly keeping the boogie feel. ‘Rollin Home’ came over like a sea shanty, enlivened by prominent accordion playing, but the presence of ‘Down Down’ and ‘Whatever You Want’ (with Andy Bown delivering what were the only ‘Rick’ vocals in the whole set) meant that this party was nearing its end just as it was beginning, and a 45 minute set ended with people quite literally rocking in the aisles to ‘Rockin All Over the World’, though it still takes some getting used to hearing that outro riff delivered on violins. In contrast, being a bastardisation of the old folk tune ‘Darby Kelly’, ‘Burning Bridges’ definitely suits the format and almost all the crowd were bouncing up and down to the jig that has become the Marmite of the Quo catalogue. For Quo traditionalists, there was compensation when the band were asked to do second takes of ‘That’s A Fact’ and ‘Hold You Back’, complete with more boogie-ing of course. 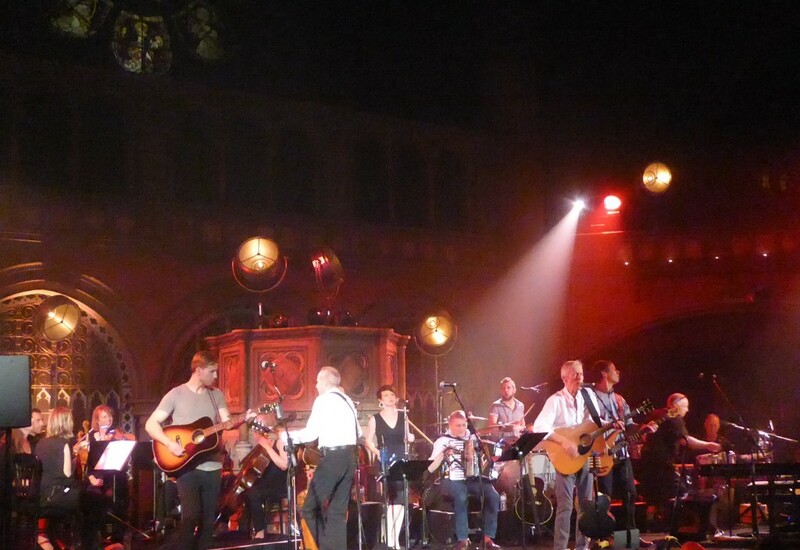 While a tad on the short side and not quite as special as the Aquostic gig at the Roundhouse gig a couple of years ago, not least as the surprise element can never be repeated, this was nevertheless still a special evening in a unique environment. 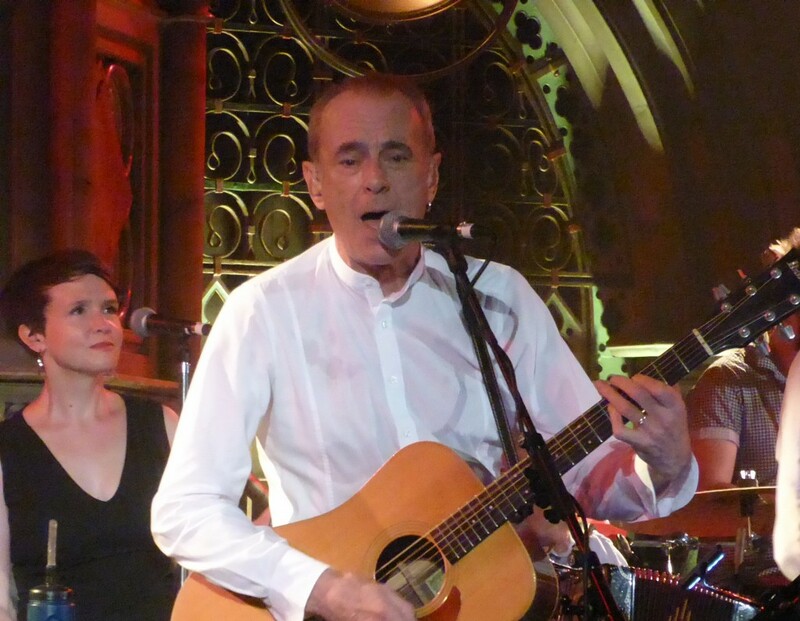 This entry was posted in All Posts, GIG REVIEWS and tagged acoustic, Andy Bown, Aquostic, Francis Rossi, Freddie Edwards, gig, review, Rhino Edwards, Status Quo. Bookmark the permalink.